A freestanding table is an exceptional accessory to the sensory bean bag floor cushion BodyMap® R/R+. 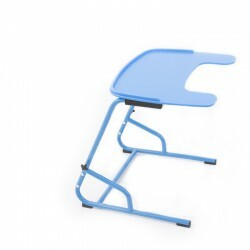 However, it can be used with other chairs such as school armchairs or office chairs as well. It is possible because the table has an adjustable height. 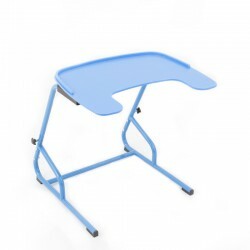 A wide table top gives numerous possibilities for a user – it provides a lot of space for recreation or learning, but it is also helpful during having meals or while using a computer. The table is equipped with a special edge which prevents objects from slipping. The table can be adapted to almost any kind of a seat as it has an adjustable height. 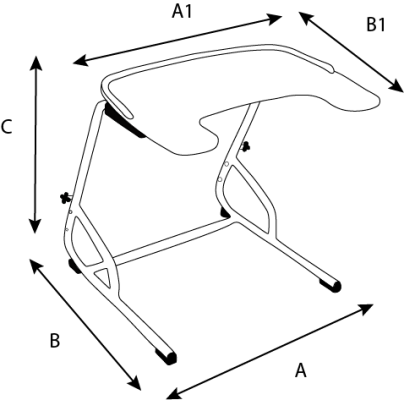 The table is very stable due to its solid construction. The top of the table is easy to clean. 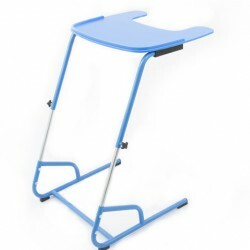 The table is available in one universal size in blue colour.